The incident, which caused no injuries, is the latest in a string of accidents involving the US military that have prompted concern from Japanese officials and renewed criticism of the US military presence in the country. A US F-16 was forced to "jettison two external fuel tanks " after an engine fire broke out. 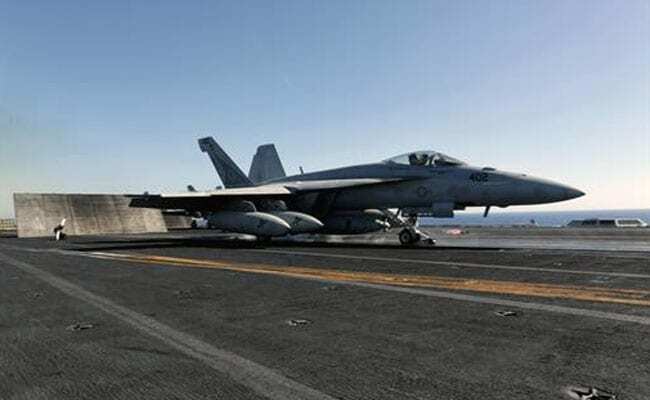 Tokyo,Japan: Japan's defence ministry demanded explanations Tuesday from the US military after a fighter jet experiencing an engine fire dropped two fuel tanks into a lake in the country's north. "We are asking the US side to explain what happened and its cause, and we fully demand the US side take prevention measures," Japan's Defence Minister Itsunori Onodera told a press conference. The F16 took off from the Misawa Air Base in northern Japan's Aomori region early on Tuesday morning and immediately experienced an engine fire, Onodera said. "The US military has told us that it discarded two exterior tanks on Lake Ogawara just north of Misawa Air Base and landed back at Misawa Air Base," Onodera said. In a statement, the US military confirmed that one of its F-16s had been forced to "jettison two external fuel tanks into an unpopulated area" after an engine fire broke out. "The safety of our airmen and our Japanese neighbours is our number one priority during flying operations," said Colonel R. Scott Jobe, the 35th Fighting Wing commander. "We will conduct a thorough investigation to determine the root cause of this incident." The case follows a string of accidents involving US military aircraft, for which US Secretary of Defense James Mattis apologised to Onodera last month. US military helicopters made at least three emergency landings in the southern region of Okinawa in January alone. In December, a window from a US military helicopter fell onto a school ground in Okinawa, and in October a US military helicopter burst into flames after landing in an empty field on Okinawa.